PARK SLOPE, Brooklyn (WABC) -- New Yorkers work hard - and "brunch" harder. Seriously. New York Govornor Andrew Cuomo recently signed a "Brunch Bill" into law so New Yorkers can brunch at optimally hardness. So it's about time that the city is hosting its first ever BrunchCon, a celebration of Eggs Benedict, Bloody Marys, and everything in between. 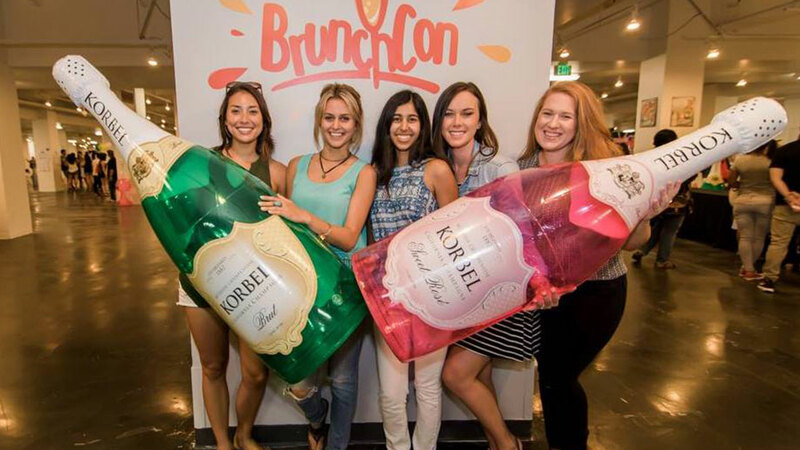 BrunchCon lets attendees indulge in a smorgasbord of late-morning eats - and an open bar serving mimosas, said Sarelyn Radecke, BrunchCon's founder. "I think brunch is such a unifying experience," she said. "It's a fun way for people to come and try the different restaurants around them and have a good time with friends." So far, the festival has 32 local food vendors signed up, and counting. These include Wowfulls , who brought Hong Kong's incredibly Instagram-able egg waffles to NYC, and House of Mac ,makers of waffle mac and cheese. And BrunchCon isn't just about stuffing one's face. Partied-out ticket holders can hang out in the Hangover Lounge, a darkroom filled with greasy food. Single brunchers may want to try out Brunch Speed Dating and meet a new bae over bagels. Radecke held the first BrunchCon in Los Angeles last year, but said she's surprised that a similar event hadn't come around sooner. "It's so bit in major metropolitan areas," she said. "There's lot of food festivals, but nothing around brunch. It's weird, especially since it's so big with 20-30 somethings." BrunchCon will take place on March 26th at Grand Prospect Hall in Brooklyn. If you want tickets, you can get them here.